Government Technology magazine released its second annual GovTech 100, a listing of the leading 100 companies focused on government as a customer, having developed an innovative or disruptive offering to improve or transform government, or having created new models for delivering services. 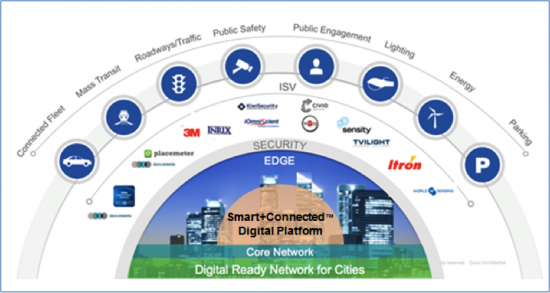 Cisco’s Smart+Connected Digital Platform is a unifying, cloud-based set of tools that, together, creates a centralized layer for addressing the infrastructural need to connect cameras, water meters, traffic meters, and so on in a reliable, secure, robust and seamless manner. 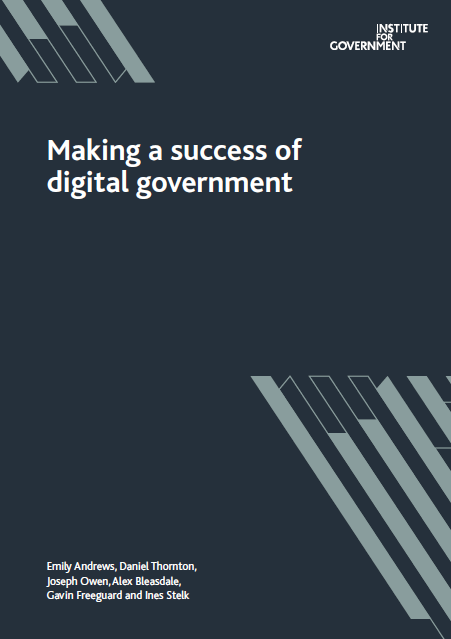 This report published by the Institute for Government, UK, says that after five years of getting more services online, UK government is hitting a wall. But despite some public services still running on last century’s computers, the real barrier to progress is not technology but the lack of political drive from the top. Machina Research has published a new study recommending that future smart city services should be managed in the cloud. Commissioned by Philips Lighting, the whitepaper, titled “Future-proofing IT for Smart City services”, highlights how hybrid cloud offers the most cost-effective infrastructure and the importance of future-proofing the IT used to implement Smart City services. Through the City on a Cloud Innovation Challenge, Amazon recognizes local and regional governments as hubs of innovation in three categories: Best Practices, Partners in Innovation, and Dream Big. The winners will receive Amazon Web Services (AWS) promotional credits to start or continue their projects. To enable government transformation initiatives, Gartner has identified the top 10 strategic technologies in 2016 and provides recommendations to CIOs and IT leaders regarding adoption and benefits. 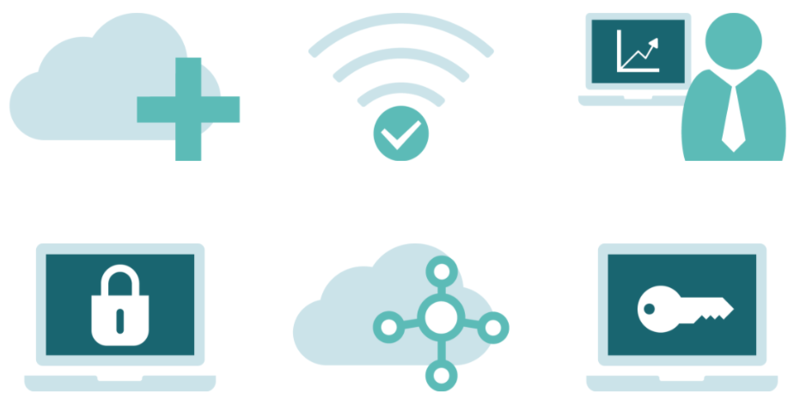 The European Parliament Research Service published an in-depth analysis on cloud computing. The European Commission has provided support to research in cloud computing as it considers cloud computing central to the EU’s competitiveness and a key to economic growth and innovation.